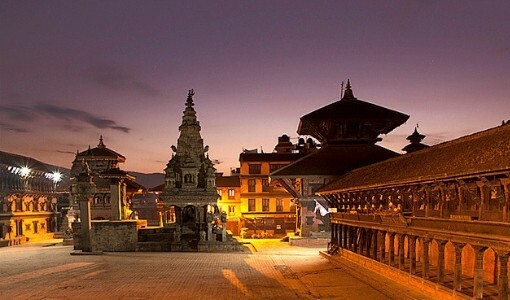 Kathmandu is one of the top hubs for independent travelers as well as a major tourist destination of Nepal. The valley is surrounded by four hills. They are Shivapuri, Phulchoki, Nagarjun, and Chandragiri. The diverse nature of Kathmandu will give you breathtaking experiences and is capable of catering all kinds of tourists. Known as one of the world’s oldest capitals, Kathmandu Valley has 7 UNESCO sites in the heritage list. These 7 sites boasts of cultural and historical monuments that represent various era and regimes. The 7 heritage sites are; the Durbar Squares of Hanuman Dhoka, Patan and Bhaktapur, the stupas of Swayambhunath and Boudhanath, and the temples of Pashupatinath and Changu Narayan. These heritage sites hold a long history of faith and belief and their mesmerizing architecture will leave you amazed. Kathmandu is the gateway to several treks where you get the opportunity to enjoy spectacular Himalayas of Nepal. Travelling to Kathmandu will leave you with lots of extraordinary experiences of mountain ranges, landscapes, historical monuments, ancient traditions, diverse culture, etc. Similarly, Changu Narayan Temple is another famous Hindu temple dedicated to Lord Vishnu. The temple is considered to be the oldest temple in the history of Nepal. The temple was built in 3rd century BC and is located on a hilltop in Bhaktapur. Swayambhunath Stupa, which is probably more than 2,500 years old is the oldest heritage of Kathmandu Valley on the UNESCO list. The Stupa has two eyes representing wisdom and compassion and 13 rings representing the 13 steps of ladder leading to Nirvana. Another UNESCO listed site is the Boudhanath Stupa. Built around 5th century the stupa is a mandala-style structure and is one of the biggest monuments of Nepal. Boudhanath’s vicinity is full of cultural attractions, especially Tibetan culture and artifacts. The 3 durbar squares of Kathmandu, Bhaktapur and Lalitpur were capitals of the three states of the valley. These durbar squares possess the unique architecture and tiered temples and intricate works of wood and metals. The stunning architecture of these durbar squares will entice you to marvel at their grandiose. Thamel is the top tourist zone where food, music, adventure and some me-time come together. Roam around the fascinating streets of Thamel. You will find lots of shops selling everything from glass pipes to Tibetan Singing Bowls. If trekking is your forte, Thamel even sells trekking gear at affordable prices. For a calm respite from the bustle of the city, you can go to Garden of Dreams, which is only a couple of minutes walk from Thamel. The ambience inside will relax your senses, as you unwind among the pavilions of the garden. Check into a boutique hotels and casinos. Boutique hotels are very famous nowadays because of their architectures and decorations. The ancient Rana structures, Newari and Upper Mustang architectures are integrated in these hotels. One of the best things about traveling to a place is to try its food. From various street vendors and roadside restaurants to noteworthy hotels serving various cuisines is a specialty of Kathmandu. 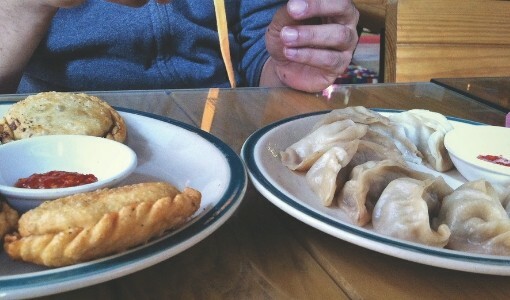 Momo is considered as the most popular dish in Nepal. Dal Bhat is the traditional dish including rice, curry, pickles and vegetables. Kathmandu is the best place to try out Newari and Tibetan cuisines. Newari cuisine has varieties of dishes to try like Chatamari (roti made with rice flour and different toppings), Bara (fried lentil based snack), Choila (broiled and spiced meat), Juju Dhau (translated to King of Curds and is native to Bhaktapur), Samay Baji (a food platter of the aforementioned dishes), etc. Similarly, Tibetan cuisines include Sha Phaley, Thenthuk, Tingmo, Gyurma, Masan, Tu (cake) and Laphing. Among them, Laphing is quite popular. You can see various street vendors serving Laphing on the streets of Boudhanath. You can have the best shopping experience in Kathmandu. Top places of shopping are Thamel, Asan and Indra Chowk. Shop sell various clothes, made in Nepal products, artifacts and other unique souvenirs. Thanka paintings and scriptures of gods are equally famous. If you want to eat some local food or wish to buy beads and bangles, check them out at Indra Chowk. Thamel has gained a reputation for the clothes and apparels. Usually known as “The Thamel Style”, this clothing style and business has been thriving in Thamel. Chandragiri Hill is a 2,540 meter high hilltop in the south-west of the valley. It has historical, religious and environmental significance. When you get to the top of the view tower at Chandragiri Hills, you can get sweeping views of Nepal’s Himalayas. Besides worshipping Bhaleshwor Temple, you can also enjoy other attractions like children’s playground, pony rides, shopping, etc. The newly introduced cable car is the most conven ient way to reach Chandragiri Hill. The base of the station is at Thankot. From there, you take a 2.5 km cable car ride to reach the top of the station. Lying 30 km east of Kathmandu and 21 km from Bhaktapur Durbar Square, Dhulikhel was once the centre of Nepal-Tibet trade. The small town of Dhulikhel has many prominent attractions that visitors will appreciate. Some of them are Kali Temple, ancient Newari houses, panoramic Himalayas, Swet Bhairab Temple, Harisiddhi Temple, Narayan Temple, Gaukhureshwor Temple, Buddhists stupas and Shanti Ban. From Dhulikhel, the Himalayan peaks look like the rim of a bowl - white, pure and attractive. The peaks you will see from the balcony or restaurants of Dhulikhel are Annapurna (8091 m), Lhotse (8516 m), Gaurishankar (7134 m), Ganesh Himal (7429 m) and Phuribichyachu (6637 m). Namo Buddha, a famous Buddhist pilgrimage site, is about an hour drive from Dhulikhel. Located in the northern part of the Kathmandu Valley, Shivapuri Nagarjun National Park is the ninth national park in Nepal. It was established in 2002. The primary objective behind this park is to protect the valley’s main water source and wildlife. The park inhibits several flora and faunas. It is home to 318 species of birds including Eurasian eagle-owl, Slender-billed scimitar-babbler, White-gorgeted flycatcher, Barred cuckoo-dove and Golden-throated barbet. It is a popular destination in the valley for bird watching and natural sightseeing. Pokhara, Hetauda, Bharatpur and Bhairahawa are some of the nearest city to visit from Kathmandu. These cities are some of the top travel destinations you do not want to miss out. There are dozens of temples, shrines and cemeteries on the banks of the Bagmati River like Pashupatinath, Guheshwori, Gokarneshwor, Koteshwor Mahadev, Tripureshwor, Pachali Bhairav, Kalmochan and Jala Binayak Temple. Other religious locations situated on the river bank are Shankhamul (confluence of Bagmati and Manohara rivers), Kalmochan Ghat, Teku Dovan (confluence of Bagmati and Bishnumati rivers) and Sundari Ghat. Hindus cremate the dead bodies at the banks of this holy river, which you can also witness. Trishuli River is a perfect location to carry out thrilling adven ture of rafting. 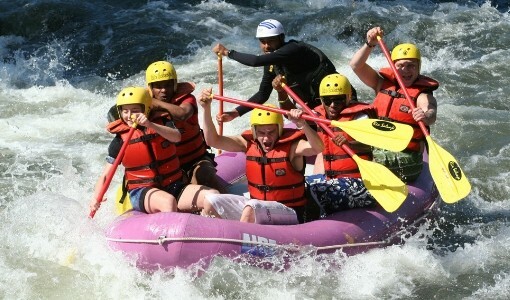 This popular rafting spot is easily accessible from Kathmandu and Pokhara. You can have the views of the impressive small gorges, exciting rapids and a glimpse of the cable car leading to the famous Hindu temple, Manakamana. Located 100 km away from Kathmandu, near the Nepal Tibet boarder, Bhote Koshi is another perfect spot to experience rafting and bungee jumping. Bhote Koshi is used for both rafting and kayaking and regarded as the steepest river rafting experience in Nepal. Bhote Koshi's bungee jumping is included in the list of the Top 10 World's Highest Bungee. 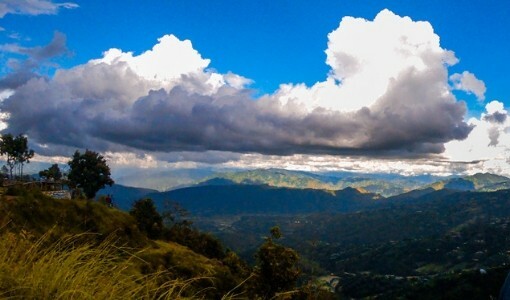 Nagarkot is located on a hilltop, 32 km north east of Kathmandu. It is a famous stopover for overnight stay, sightseeing, cycling, trekking and short trips. Surrounded by the lush green forest, it offers immense natural beauty with panoramic views of the Himalayas. The cool and pleasant climate adds to the charming ambience. It is a well known as an overnight destination, especially to experience the rising and setting sun. For a flight of epic proportions, why not try a mountain flight with Buddha Air. The Everest Experience mountain flight takes off early in the morning from Kathmandu and takes you to see the majestic peaks like Gauri Shankar, Cho Oyu, Nuptse, and the tallest mountain in the world, Everest! Get a preview of the mountains' majesty from comfort of your airplane seat. To get full details, you can visit Everest Experience. Kathmandu is a paradise for trekkers. It offers you the best short and long treks which will stun you with beautiful views of nature and mountains. Phulchowki, Helambu, Gosaikunda, Arun Valley, Everest Base Camp, Gokyo and Cho-la Pass treks are some of the best treks you can start from Kathmandu. Considered as the original inhabitants of the Kathmandu Valley, Newars are people with diverse culture, traditions and activities. Most of the architecture of the cultural heritages and houses have huge Newari influences. In the valley, there are Buddhist Newars and Hindu Newars, and their culture is a fusion of both religions. People can witness the intermixing of music, dance and religion in every cultural event. The best part is, you do not need to wait to experience them, there is always something happening in the valley. People in Kathmandu mostly speak Nepali, and respective ethnic groups speak their mother tongue. There are three major religions followed in Kathmandu which are Hinduism, Buddhism and Christianity with greater density of Hindus. The major festivals celebrated here are Buddha Jayanti, Indra Jatra, Mha Puja, Gai Jatra, Bisket Jatra, Seto and Rato Macchindranath, Maha Shivaratri, Dashain, Tihar, Losar etc. Buddha Air operates daily flights from Kathmandu to 13 destinations including Varanasi, India. 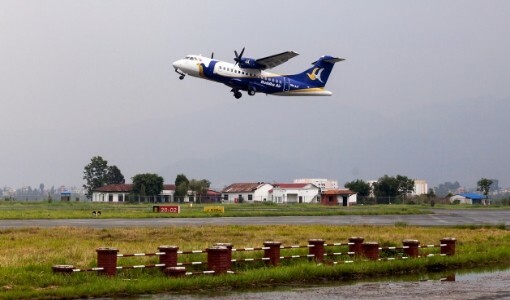 Buddha Air has more than 90 flights per day operating from TIA, Kathmandu. Tribhuvan International Airport, also known as Kathmandu Airport is the sole international airport of Nepal. A trip to Kathmandu is unlike any other you will experience in Nepal. It will be unforgettable experience that will give you best opportunities to delve into its diverse cultures and a never-ending list of destinations to visit inside the valley. The memories you make are the ones you will cherish forever.